“To Kill For” is set in the afterlife when Alfred Hitchcock is depressed because he misses his wife, Alma Reville, who died six months ago and has not yet come to find him. Instead, a film buff comes to assist him in remaking “Vertigo”. She posits that he is not ready to see Alma yet. Later, another visitor, Tippi Hedren, the actress who formed a turning point in Hitch’s life, speculates that he wouldn’t recognize Alma if he saw her. By the time his wife appears, in this funny, shrewd dramatic fantasy, she and Hitch are able to create a fresh approach to one another in which he is no longer the director. 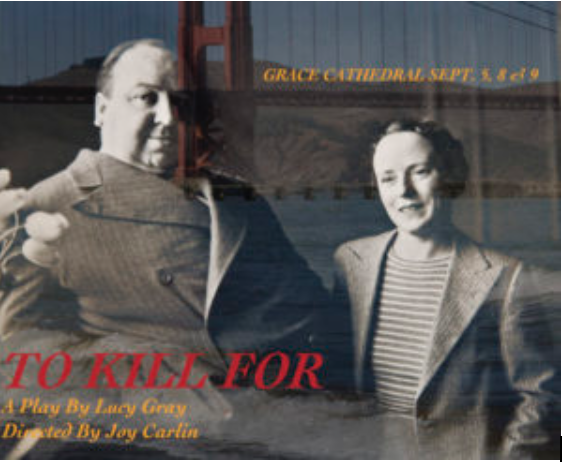 "Staged in the nave of Grace Cathedral and featuring some of the finest dramatic talent SF sports – smartly directed by Bay Area theater veteran Joy Carlin – Lucy Gray’s witty, thoughtful play contemplates ‘Hitch’ and (wife and writer) Alma Reville discussing and remaking Vertigo from aloft in a heavenly afterlife"
Irene’s husband, David O. Selznick, and her father, Louis B. Mayer, want her to be a movie producer, like they are, but she needs to get away from them. This is clear to her when she has an affair with Katherine Hepburn who wants to star in a new show on Broadway called, “A Streetcar Named Desire.” Irene goes to Broadway to produce this play. There, she meets another formidable talent in the director Elia Kazan. He is not happy about working with a neophyte. 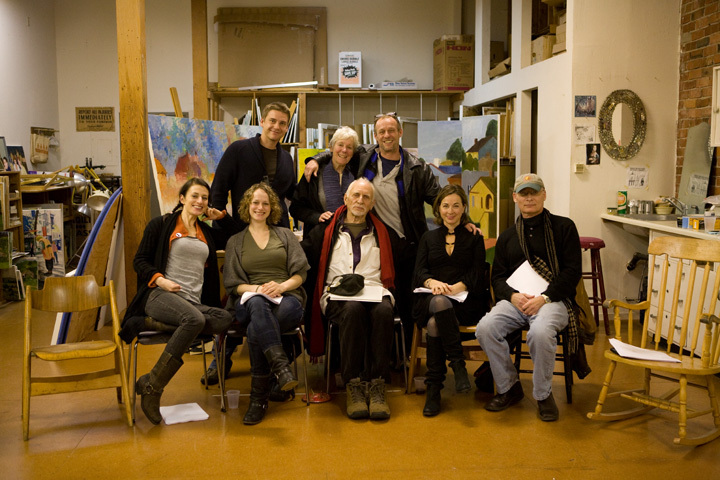 But the actor Marlon Brando trusts her and so does the playwright Tennessee Williams and she triumphs, as does the play.